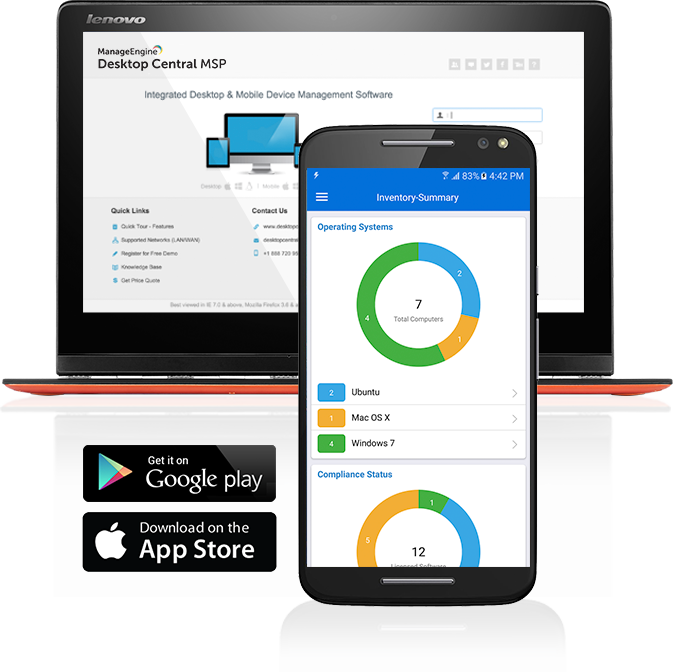 Desktop Central MSP is an award-winning remote monitoring and management (RMM) software that helps managed service providers to efficiently manage their clients' desktops, servers, laptops, and mobile devices from a central location. It is suitable for small, medium, as well as large MSPs. Automate patch deployment for over 850 first and third-party applications. Test patches, roll back deployed ones, track system health statuses, and more. Remotely deploy applications to client computers from your RMM software. Find your pick among thousands in our repository. Support endusers with self-service portal. Manage Android, iOS, and Chrome devices. Wipe, lock, geo-track remote devices, enforce passwords and encrypted backup, restrict camera, etc. Integrate your RMM software with ManageEngine's own PSA and manage your clients, billing, projects, tickets, and SLAs with ease. Dedicated, built-in, single-click remote control feature for your RMM software with video and audio call support, file-transfer, shortcuts, ability to record sessions, etc. Go green with effective power management by applying power schemes, shutting down inactive computers, and getting system uptime report. Restrict and control the usage of USB devices(mouse, keyboard, storage devices etc.) in the network both at the user and computer level. With 50 pre-defined configurations and over 100s of scripts in the script-repository, baseline and manage any and all types of customer environments.